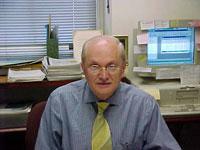 Dr. Szklo was principal investigator for the Hopkins field center (based in Washington County, Maryland) and chairman of the Steering Committee of the Atherosclerosis Risk in Communities (ARIC) study from 1986 through 2000, in addition to acting as its editor for internal review of manuscripts. He is currently principal investigator of the Multi-Ethnic Study of Atherosclerosis, and chair of its publications committee. Vaidya D, Szklo M, Liu K, Schreiner P, Bertoni A, Ouyang P. Defining the Metabolic Syndrome Construct: Multi-Ethnic Study of Atherosclerosis Cross-sectional Analysis. Diabetes Care 2007, In press. Golden SH, Lee H, Fitzpatrick A, Diez Roux A, Schreiner PJ, Szklo M, Lyketsos C. The Association Between Depression and Type 2 Diabetes Mellitus: The Multiethnic Study of Atherosclerosis. Psychosomatic Medicine 2007, In press.